This item is expected to ship 4-6 weeks after the event on May 10, 2019. Children are not small adults, and infants are not small children. Each are unique and require different interventions and treatment modalities. 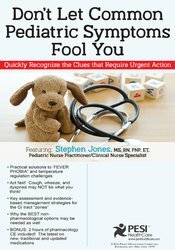 It is imperative that nurses and other healthcare providers in all health care settings - from home to primary to acute care - be prepared to identify and intervene as early as possible with respiratory situations, GI-related conditions, and two of the major maladies of childhood: fever and diarrhea. As pediatric healthcare providers, it is essential that we grasp and understand the underlying causes of these pediatric clinical challenges. Secondary to both anatomical and physiological etiologies, children with these conditions may present with acute illnesses, flare-ups of chronic conditions or life-threatening complications. The pediatric patient can present with a myriad of causes contributing to their unexplainable symptoms. Does this sound familiar… Your patient's parents report increasing symptoms over the past 7 to 10 days. He's "always been a good sleeper" but his sleep has been impacted now. The little guy is experiencing recurrent fevers, and is seemingly unresponsive to anti-pyretics. He appears restless, "not himself", and his appetite and fluid intake have been less. While his asthma had been "stable", he seems to be manifesting increasing symptoms and the albuterol is not helping with the wet cough and is making him gag and "vomit". Could this case turn south? And how quickly could that happen? Over the course of this recording, you will learn practical strategies to integrate symptomology and appropriate diagnostics into your differential diagnosis. You will gain an enhanced ability to pinpoint etiology by understanding the inter-relationship of signs/symptoms with new differentiation skills to know when to treat the "cause" versus the "symptom". You will leave able to intervene quickly and appropriately for the young patients trusted to your care! Explain the appropriate utilization of various technologies used with respiratory conditions and their clinical significance. Recommend appropriate interventions for the child manifesting either an upper or lower respiratory condition. Determine the essentials necessary for an efficient and comprehensive gastrointestinal assessment and management plan as it relates to the "zones". Analyze the impact of inappropriate diet and nutrition on the pediatric GI Tract. Evaluate both the pharmacological and nonpharmacological management of selected non-surgical GI conditions: diarrhea, vomiting, constipation, and "spitting up". Examine the underlying causes and triggers of temperature dysregulation in determining appropriate evidence-based treatment. Contrast between causes and symptoms for the child experiencing dehydration and/or diarrhea. Pharmacological choices: OTC versus prescription antimicrobials, "RAD/asthma", and "cold & cough"
Temperature measurement: Pathophysiology of fever versus hyperthermia and "fever phobia"
Stephen Jones is a fulltime Pediatric Nurse Practitioner/Clinical Nurse Specialist and Enterostomal Therapist, practicing at The Children's Hospital-Albany Medical Center in Albany, New York. In this multi-dimensional role, Stephen covers all inpatient pediatric units, including the PICU and outpatient clinics. Additionally, he provides pediatric critical care courses and pediatric core curriculum at his hospital. Over his extensive career, he has published articles in numerous nursing journals, authored chapters in pediatric textbooks, and shares his expertise at conferences throughout North America. In addition to his active and busy clinical practice, he is also the founder and principal of Pediatric Concepts, a company dedicated to providing quality educational programs for healthcare professionals. 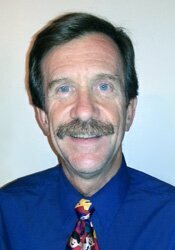 Financial: Stephen Jones is the founder of Pediatric Concepts. He has an employment relationship with The Children's Hospital at Albany Medical Center. Mr. Jones receives speaking honorarium from PESI, Inc. Non-financial: Stephen Jones has no relevant non-financial relationship to disclose.